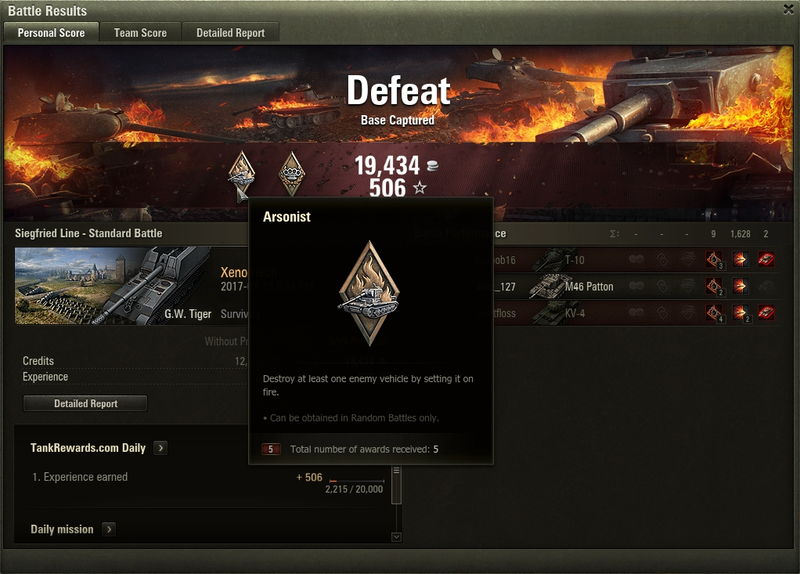 The Arsonist award is not easy to get, especially with an SPG. 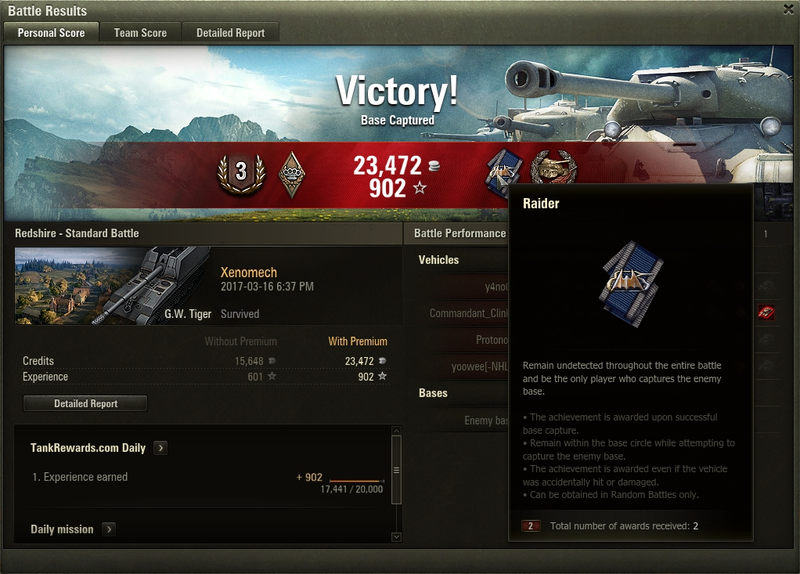 With a single shot, you have to almost destroy a tank and score a critical hit on the fuel tank and have the fuel tank rupture and catch fire and have the fire do enough damage to finish off the tank. 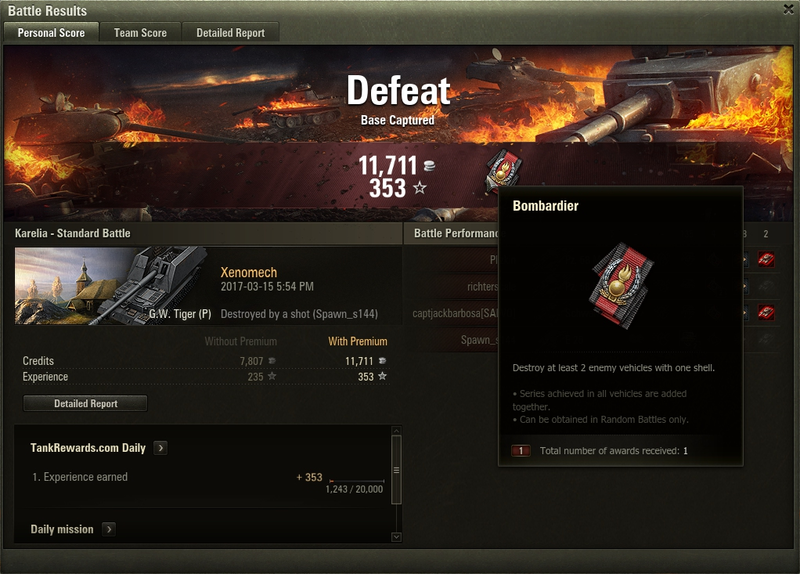 I was wondering if I’d ever get the Bombardier award, as it entails destroying two tanks with one shot. 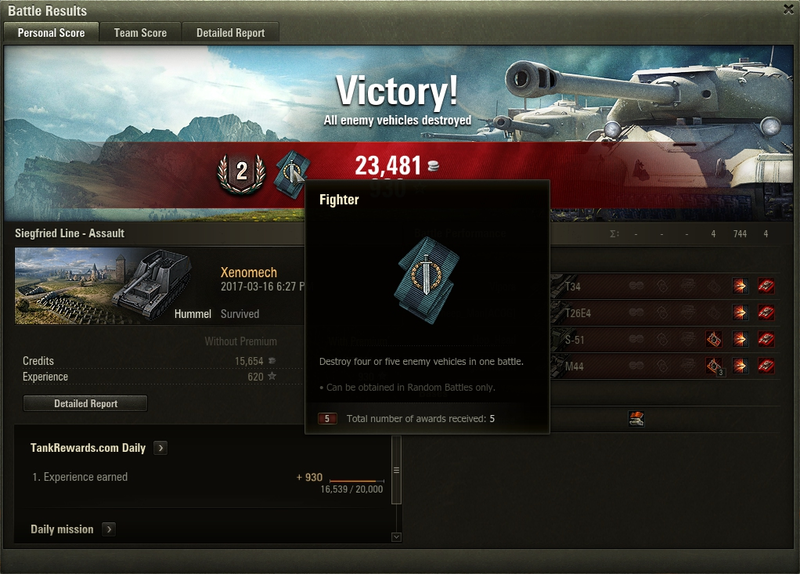 High-explosive artillery shells FTW! 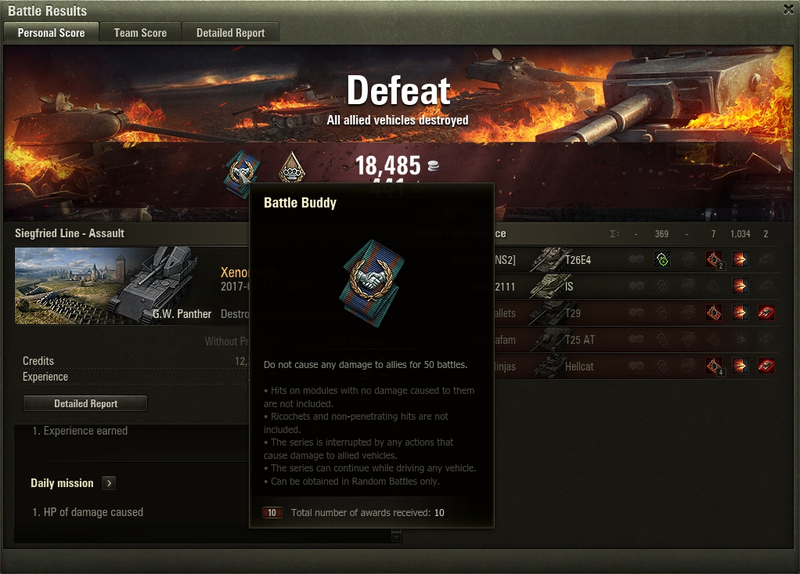 I was not expecting the Battle Buddy award; I had no idea it existed. I guess it says something about an arty player since SPGs are typically not very accurate and often fire high-explosive shells which cause splash damage. It’s very easy to damage allies if one is not careful. Destroying a third of the enemy team by yourself is a decent accomplishment. The Raider award is earned when you capture the enemy base — you have to make it to the enemy flag and stay close to it for a minute or two — and do it without ever being spotted by the enemy. This is fairly humiliating to the enemy. 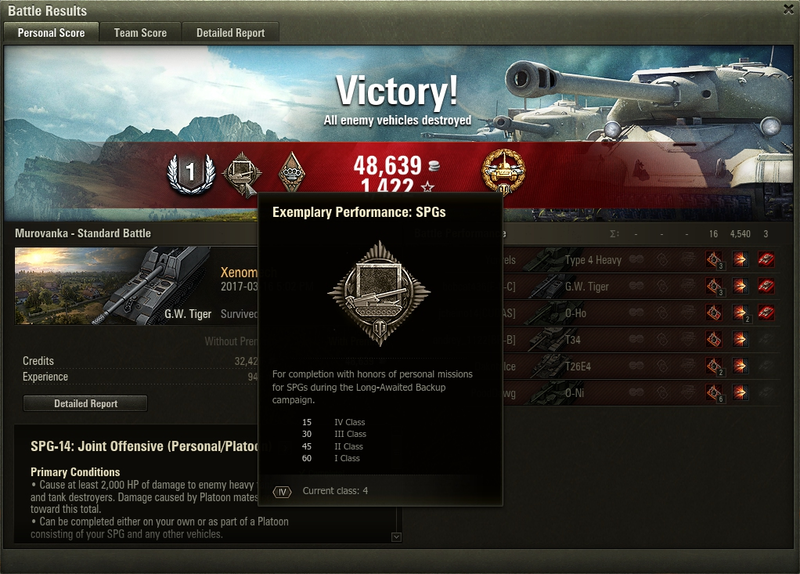 It’s especially so when the enemy does it with a terribly slow SPG. The game also has a campaign for each class of tank. Each campaign consists of fifteen missions, and each mission consists of a primary win condition and a secondary win condition. These missions are just a goal you can set for yourself — you don’t have do them. The reward for completing a mission is typically a pile of credits and/or some in-game consumable. Completing a mission with honors (i.e. fulfilling both primary and secondary conditions) rewards additional credits. The reward for completing every mission in a campaign includes a female crew member (and this is the only way to get them). I had completed the entire campaign a few days ago, but the game gives you the option to retry any mission which you did not complete with honors the first time. Tonight I managed to finally complete the entire campaign with honors. 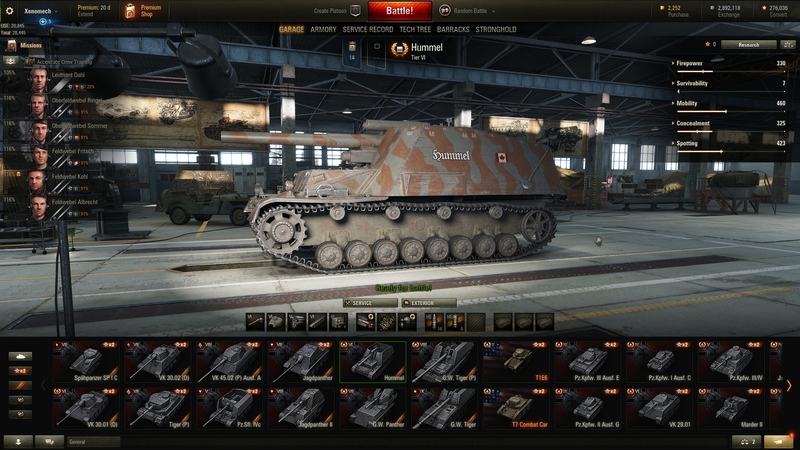 This entry was posted in All Things Don, Games, Video Games, World of Tanks and tagged World of Tanks. Bookmark the permalink.